Hampton Inn & Suites Aurora is the ideal destination for travelers attending events at the Paramount Theatre. Auroras premier event venue is located just minutes away from the hotel via car, making it easy to enjoy an evening of live music, comedy or theatre before retiring to spacious accommodations. The Paramount Theatre is a historic venue in the heart of Downtown Aurora. Opened in 1931, the auditorium is listed on the National Register of Historic Places and celebrated for its authentic Art-Deco architecture. 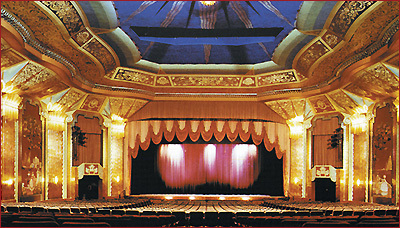 The theatre hosts the areas biggest concerts, comedy shows, musical theatre, and performing arts exhibitions, serving as the centerpiece of Downtown Aurora. Over the years, world-class entertainment acts as diverse as Duke Ellington, Willie Nelson, Cyndi Lauper, Glenn Miller and BB King and shows such as Annie, Stomp and Nutcracker have played at the Paramount. The venue currently hosts a Broadway Series, including short-run renditions of popular musicals. Hampton Inn & Suites, a conveniently located hotel in Aurora, Illinois, is located just off I-88 and only 20 minutes from the Paramount Theatre.